Tyson Enterprises, LLC is directed by Mr. Ronald Tyson. For over 35 years, Mr. Tyson has served the legal community as a construction expert witness, working for both plaintiff and defendant's attorneys. He has been in the construction business for over 45 years. He has years of hands on experience as a tradesman, subcontractor and general contractor. He has been a Michigan licensed builder since 1967. He has provided supervisory tasks for Tyson Enterprises Incorporated and other contractors on all types of industrial, public, commercial and residential construction. Tyson Enterprises, LLC has hands on experience in the following crafts: roofing, masonry, plumbing, electrical work, heating, ceramic tile, siding, insulation, suspended ceilings, drywall, plaster, painting and cement. He also specializes in OSHA and MIOSHA theories. At Tyson Enterprises, LLC, we provide our clients with opinions concerning causation and/or rebuttal of allegations as each case unfolds. Since 1972, Mr. Tyson has worked for both plaintiff and defendant attorneys in all types of litigation that include construction, building and property maintenance and life safety issues. • Review of all discovery material that is provided by our client, after retention. • Review and furnishing of applicable statutory building codes, property maintenance codes, fire codes and building standards, standards of the industry and the standard of care. • Review of and furnishing of applicable statutory national, state and local safety laws and standards. • Inter-office document and manual searches necessary during the discovery process. • Contacting state and local authorities, as required, to establish correct applicable laws and standards and obtaining building records. • Internet searches, as may be necessary for case review. • Written opinions and testimony concerning negligence and/or comparative negligence based upon the material reviewed. At Tyson Enterprises, LLC, we review construction contracts and advise our clients as to how the agreements, specifications, change orders, drawings, scheduling and other correspondence may affect all of the involved parties to the contracts and/or litigation. Recognizing and enforcing the basics of construction is of the utmost importance in any site improvement. Building projects should have written agreements, drawings, preconstruction work and safety meetings, ongoing work and a thorough understanding between the general contractor/construction manager and the subcontractors and between the owner and the general contractor/construction manager as to each party’s responsibility. These responsibilities must be thoroughly understood and enforced as the project progresses towards an expected completion date. Health, welfare and life safety is of the utmost concern in new construction and premises maintenance. Understanding building and fire codes and safety laws and standards such ADA and MIOSHA is a must concerning plaintiff allegations or defendant rebuttal in litigation matters. With our forensic services we assist our clients in recognizing, establishing and explaining these complicated issues to the trier of fact. Review and research to render opinions on correct building codes and life-safety standards concerning construction, ADA & OSHA issues. Opinions on causation & foreseeability, licensed builder with many years of subcontracting & general contracting [hands-on] experience. Plaintiff and Defense attorney clients. Continuing education studies. Never disqualified in over 200 times in court. Addressing allegations of Building Mold, Faulty Construction, Failure to disclose, Personal Injury, Manufactured Housing & other construction issues and Condominium claims. Addressing breach of contract issues. * Review of all discovery material that is provided by our client, after retention. * Review and furnishing of applicable statutory building, property maintenance & fire codes; building standards, standards of the industry and standard of care. * Review of and furnishing of applicable statutory national, state and local safety laws and standards. * Inter-office document and manual searches. * Contacting state and local authorities to establish applicable laws and standards. * Written opinions and testimony concerning negligence and/or comparative negligence based upon material reviewed. Ronald Tyson has been in construction since the middle 1950’s. He has been a tradesman, subcontractor and general contractor for all types of construction projects. 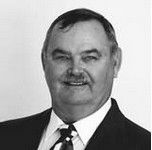 Mr. Tyson obtained his builder’s license in 1967 and thereafter, performed as a licensed general contractor for all types of construction. In 1972 Mr. Tyson started serving as a construction consultant in litigation matters for both plaintiff and defendant attorneys. He can assist in the discovery process to determine negligence, comparative negligence and causation after review of the allegations and required discovery. 1957-60: Worked for E. H. Wygal, Custom Craft Carpentry and Billy Wygal Carpentry performing many of the required tasks in erecting structures. 1960-67: Carpenter and construction subcontractor for new structures and remodeling of existing structures. Worked for numerous firms, including but not limited to: Ferndale Co-op, Fraser Lumber Company, Groesbeck Lumber Company, Stellar Building Company, etc. 1967-83: Formed Tyson Building Company as a private firm. Received general building license from State of Michigan in May, 1967, license number 10760. Designed and built all types of structures to include new as well as remodeling. 1983-94: President of Tyson Building Company, Incorporated. Purpose: to design and build all types of structures including new as well as renovated structures. 1994-present: President of Tyson Enterprises, Incorporated builders license number 2101010760. Purpose: to design and build all types of structures including new as well as renovated structures. 1972-86: Inspected buildings and sites in dispute and consulted with attorney Joseph E. Mihelich and his associates. 1987-present: Expanded his consultation business and made his professional services available to additional attorneys. 2004-present: Bought co-ownership of Custom Audio Services, providing audio and video services for industries and the public. January 2004-present: Bought co-ownership of Custom Audio Services, providing audio and video services for industries and the public. Mr. Tyson has inspected buildings and sites in dispute for attorneys since 1972. He has furnished independent oral and written opinions and estimates when requested. He works for attorneys representing plaintiffs or defendants. - Licensed builder for over 41 years. - Hands on training in all building trades. - Supervision of all types of construction since 1957. - Attending many seminars, symposiums, conferences and trade shows each year. - Serving as an Expert Witness in litigation matters for over 37 years. Builder licensed by the State of Michigan since May 1967. Mr. Tyson has reviewed documents, contracts and project scheduling, and inspected and evaluated building sites and construction and existing premises sites for attorneys for over 37 years. His cases involve attorneys representing plaintiff or defendant. - Allegations of negligence by contractors. Testified over 250 times, never disqualified in court. Member of International Code Counsel, National Association of Home Builders, American Standards for Testing and Materials, Code Officials Conference of Michigan, Michigan Association of Housing Officials, Modular Building Systems, Association, Michigan Mechanical Inspectors Association, National Fire Protection Association, Building Officials & Code Administrators International, Inc. [BOCA], International Conference of Building Officials [ICBO], International Association of Electrical Inspectors [IAEI], Building Industry Association of Southeastern Michigan [BIA], etc. - Graduated High School in 1960. - Continuous ongoing education and training in the building industry, building codes and standards and life safety.